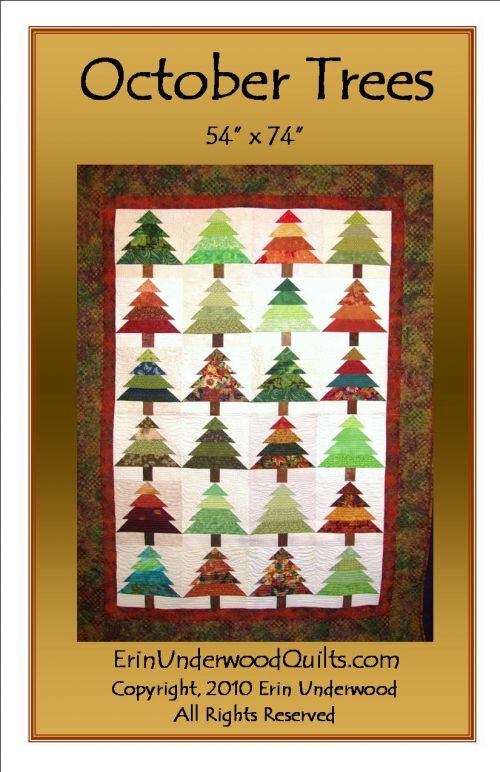 Bring the Fall into your home with this lovely quilt full of trees! Rows of trees come together quickly with a sparkling background that tessellates! Excellent for chrismas fabrics too! Or Jelly Rolls! Or Bali-Pops! Or you can shake it up a bit with your own wild and whacky forest of fabrics! 54" x 74"